Need inspiration? This woman is amazing and she used things around her house so her total office makeover cost her NOTHING! 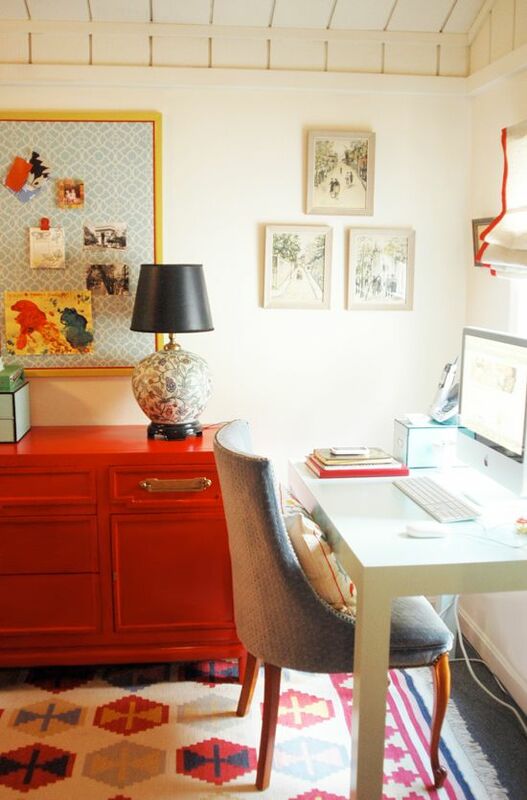 I love the use of the amazing credenza and inspiration boards in Jenny's office, from Little Green Notebook. Check out the post of her office makeover HERE.